Things we like: environmentally friendly modes of transportation, the outdoors & exercise. Don’t get us wrong, though, we like sitting on the couch and fast food just as much as the next person. It’s about balance, right? 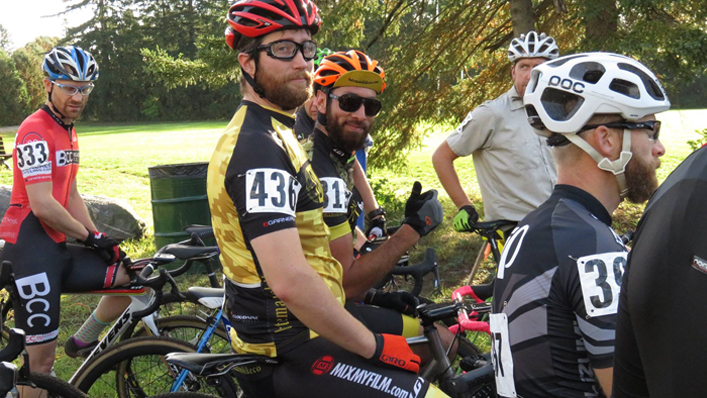 Shout out to Bateman’s Bicycle Company race team, looking fit and stylish while repping Mix My Film on their cycling gear! It’s great to support the cycling community. But, where will this need for speed go during the upcoming winter season? You don’t need to look far, because the Bateman’s Spin Shack is right across the street from their bike shop! Check out how to sign up on their website. And if you’re looking for a beer and a taco to rebuild you muscles, El Pocho is right around the corner. Take a look at their menu here. Bet you didn’t know that our online mixing service could take you so far!